Pets Rule Products by OdoBan. Pets Rule is a division of Clean Control and is headquarted in Warner Robins, Georgia. 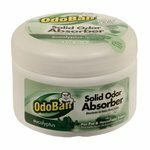 They have manufactured OdoBan, "The Original Odor Eliminator," since 1980. They are a small, locally-owned business, with a staff of over 100 employees and nationwide distribution.